Australian agriculture faces unprecedented challenges regarding climate, water resources, energy production and global food security. A sustainable and prosperous future for the agriculture sector will require new ways of responding if we are to maintain our position as a supplier of food and fibre to the world while having low carbon emissions. Alana Johnson is the project designer aiming to mobilise financial resources to invest in innovation, education, research and development and support the next generation in agriculture. Imagine a world where women and girls stand equally with men and boys, and take up all of life’s opportunities without fear, harm, discrimination or disadvantage. At the Sth Africa Congress, attended by over 3000 women from 70 countries, the Hon.Ms Renuke Chowdhryi, Minister for Women and Children offered to host the 5th World Congress for Rural Women on behalf of the Indian delegation. 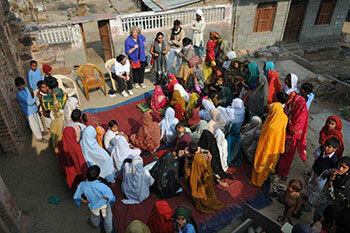 In recognition Australia's key role, Alana Johnson, former President of Foundation for Australian Agricultural Women and Cathy McGowan MP, former President of Australian Women in Agriculture have visited India regularly to meet with a range of Government, NGO and High Commission personnel involved in the organization of the Congress. The eyes of the nation focused on the electorate of Indi during the 2013 federal election campaign as this previously safe seat saw a 9% swing against the national trend and elected an independent candidate back by the voices for Indi. 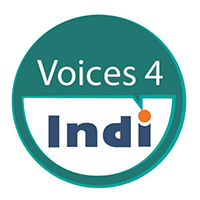 Voices for Indi (V4I) was set up in 2012 to provide a collective and effective process by which people across the electorate can give voice – where their interests, concerns and ideas are heard, respected and taken up by Government. Australian Women in Agriculture (AWiA) is Australia’s peak organisation for women across all areas of agriculture. Members are part of a recognised and dedicated national network involved in the development of Australian primary production, rural industries and communities. A partnership between Museum Victoria and the University of Melbourne, the project was born out of a very real and pressing need to research, document and preserve the history of rural women in Victoria, and in particular the history of the Rural Women’s Movement of the 1980s-1990s. Launched on the 6th June 2013 it is a national institution aiming to carry out strategic, harm- prevention initiatives that make real and lasting differences in the lives of women and girls. The RIRDC Rural Women’s Award is celebrating its 20th year and recognises the leadership and innovation of rural women.